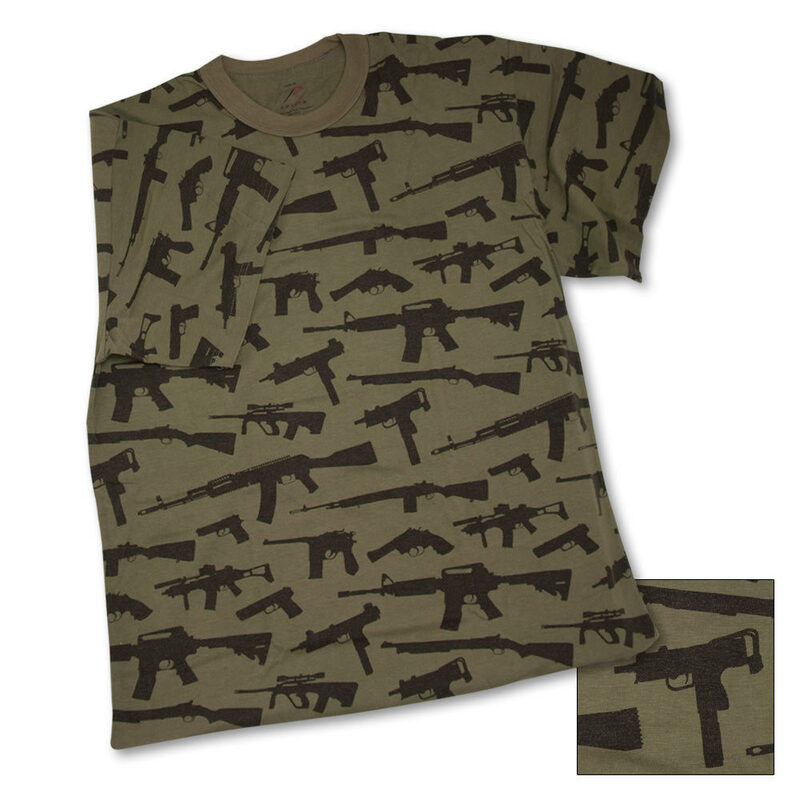 Guns Olive Green Short Sleeve T-Shirt | BUDK.com - Knives & Swords At The Lowest Prices! Super soft washed cotton/poly material, vintage olive drab T-shirt with black gun print, red and black tagless neck label. Show &apos;em what you&apos;re made of in this t-shirt! This tagless t-shirt is extremely comfortable! Constructed of super soft cotton/polyester material, this vintage olive drab shirt features a black gun print all over. Please specify size: L, XL or 2XL. * 2XL add $2.